A Montreal company says it's confident a plan to revive one of Canada's last asbestos mines will go ahead. The owners of the Jeffrey Mine in Asbestos, Que. were given until Monday to raise $25 million from the private sector to secure financing from the Quebec government. 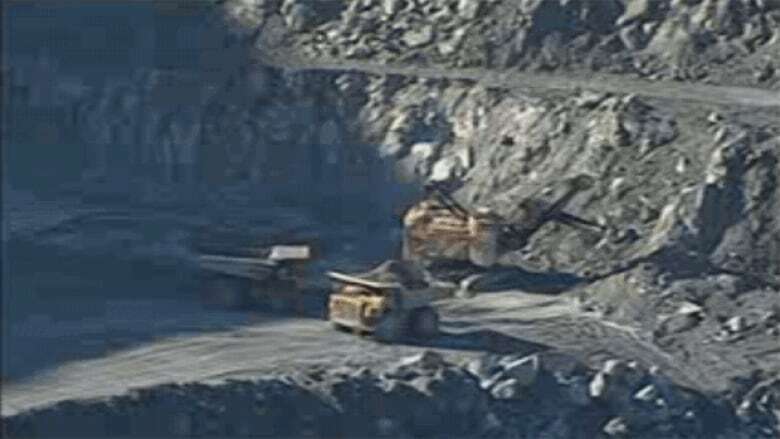 Just as it seemed time was running out, a consortium of investors led by Montreal company Balcorp Ltd. said it's confident it can raise the money to purchase the mine. That's despite the fact Balcorp has requested another extension on the financing deadline set by the province. The private sector money would help the consortium secure a $58 million loan guarantee from the Quebec government. Balcorp says financing is almost there but not quite. It's bid to take over the mine comes as the industry faces heavy criticism from health experts and international critics. They say exporting asbestos to the developing world is unsafe and immoral. Should one of Canada's last asbestos mines be reopened? A Quebec government official said the province will consider extending the deadline for a second time. The mine's current owners said if the mine does reopen, it would generate hundreds of jobs in the area. As the Quebec asbestos industry struggles, a woman campaigning against the industry has found herself in a tussle with the federal Conservatives. The Tories are warning Michaela Keyserlingk to stop using their party logo in an ad denouncing Canada's controversial industry. Her husband, Robert, died in 2009 of asbestos-caused mesothelioma. Keyserlingk is running an online banner that says Canada is the only western country that still exports the deadly substance. She says her husband was a lifelong Conservative supporter and was even a riding-association president of the old PC party -- and he would be ashamed of its continued support for the industry. Conservative Party executive director Dan Hilton has sent her an email telling her to immediately stop using the party logo. Hilton accuses the Ottawa woman of violating trademark laws, and warns of further consequences if she persists.